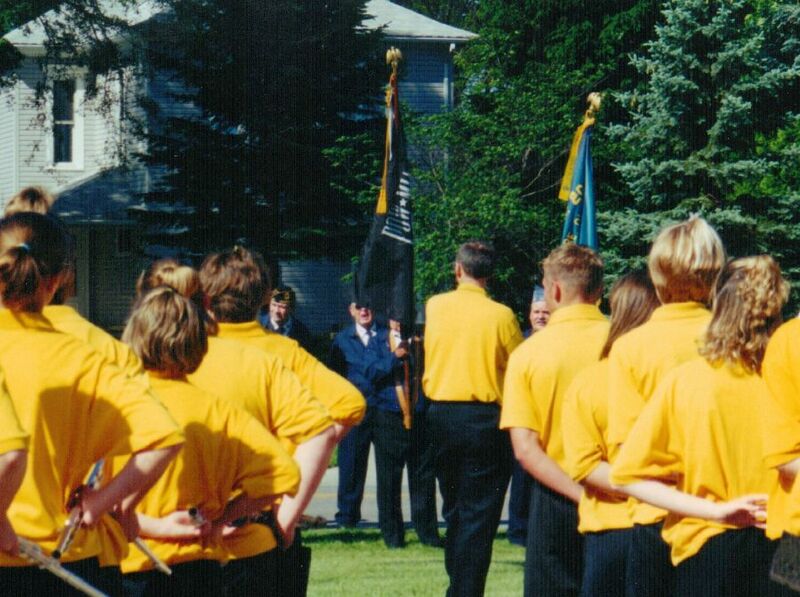 Memorial Day Service at Willshire Cemetery, 2000. Memorial Day will be celebrated this coming Monday, May 28th. This federal holiday, originally designated Decoration Day, dates back to time of the Civil War. It began as a way to remember and honor both Union and Confederate soldiers who were killed during the Civil War. After WWI Memorial Day was extended to honor Americans who died in all wars. Today most Americans use this holiday as a time to decorate grave sites, whether the deceased served in the military or not. Memorial Day is especially meaningful to me this year since my dad recently passed away. He was a combat veteran of WWII and fought in the Battle of the Bulge. Several months ago he made plans to take the Freedom Honor Flight to Washington DC. That flight was this past Tuesday, May 22nd. I know he would have enjoyed seeing the memorials in Washington and visiting with other veterans on the flight. My dad was a member of the American Legion in Willshire and he used to lead the Willshire Memorial Day parade in the 1953 Army Jeep he restored. The procession would go through town and then on to Willshire Cemetery, where the Legion would conduct the Memorial Day service. The photo below was taken before the parade in 2000. That photo looks very similar to another taken during WWII. 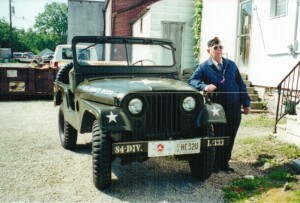 Herbert Miller before Memorial Day Parade in Willshire, 2000. 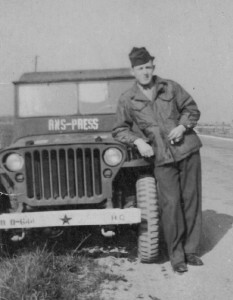 Herbert Miller, 84th Division, 333rd Company, "The Railsplitters", WWII. Hallet Bryan (c1836-13 Sep 1863) was the son of Peter and Mary (Huey) Bryan of Jay County, Indiana, and was my 3rd great-granduncle. Private Bryan served in Company E, 89th Regiment, Indiana Infantry and was killed in Memphis, Tennessee. He is buried in the Memphis National Cemetery. Daniel Schumm (2 Mar 1840-8 Feb 1863) was the son of Johann “Jacob” and Hannah (Billman) Schumm and was my 1st cousin 3 times removed. Corporal Daniel Schumm served in the 52nd OVI and never returned home from the Civil War. John Schumm (30 Mar 1843-28 Oct 1864) was the son of George Martin and Maria (Pflueger) Schumm and was my 1st cousin 3 times removed. Corporal John Schumm served in Company A, 60th OVI. He was wounded and captured in Virginia during the Battle of Petersburg and was imprisoned at Salisbury, North Carolina, where he died. Carl Schumm was the son of Rev. Ferdinand and Wilhelmina (Brockmeyer) Schumm and was my 2nd cousin twice removed. He was killed in France during WWI. Ralph J. Derrickson (5 Apr 1925-15 Jan 1945) was the son of Ralph and Alpha (Brewster) Derrickson and was my 1st cousin once removed. 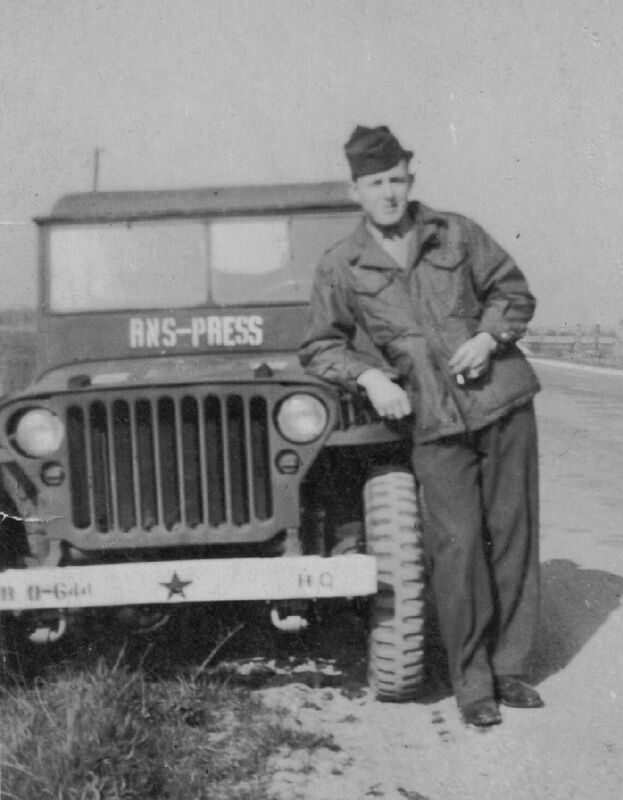 Private Derrickson served in the 99th Infantry Division during WWII and was killed in action during the Battle of the Bulge in Luxembourg. Edgar Schumm (18 Nov 1914-13 Nov 1944) was the son of William & Amanda (Reidenbach) Schumm and was my 3rd cousin once removed. He was killed while serving in WWII. Victor Schueler (23 Jan 1924-3 Aug 1945) was the son of Adolph and Marie (Limbach) Schueler and was my 4th cousin. Private First Class Schueler was a member of the 85th Mountain Regiment, 10th Mountaineer Division and was killed in Italy during WWII. Thank you for writing and I am sorry for the slow reply. (I think I was in the middle of a computer crash at the time and did not receive an e-mail notice of you comment.) How interesting that your father was also in Co. L, 333. I’m not sure how large a company is, but I wouldn’t be surprised if they knew each other. I know that many of the WWII generation did not talk much of their war experience. I was fortunate that my dad would talk about it occasionally and I tried to write down all that he told me. I assume your father was also in the Battle of the Bulge. My dad would talk about the cold and bad conditions during the Bulge. I know that my dad was very proud to have been a Railsplitter.